If anything is unclear or you need feedback/help please don’t hesitate to mention anyone on the core team. When there’s a parsing error in a new post’s metadata, the returned error doesn’t offer any specifics or guidance. Add a title or description that uses a colon : and is not wrapped in quotes. When I click heart/unicorn/bookmark repeatedly(laggy internet connection), I get NaN in the counts. When I click heart/unicorn/bookmark repeatedly, number should increase and decrease by 1 alternately. Probably this happens, when the user clicks the icon again before the async request returns for each click (can happen with slow internet). Click or tap over the Glitch embed full-screen button does nothing. I was scrolling through the feed, and went to the profile’s page, and saw the weird list of posts. This behaviour occurred a few months back. I tried to reproduce, but it didn’t happen again. I clicked on the user’s profile and scrolled through his/her profile. 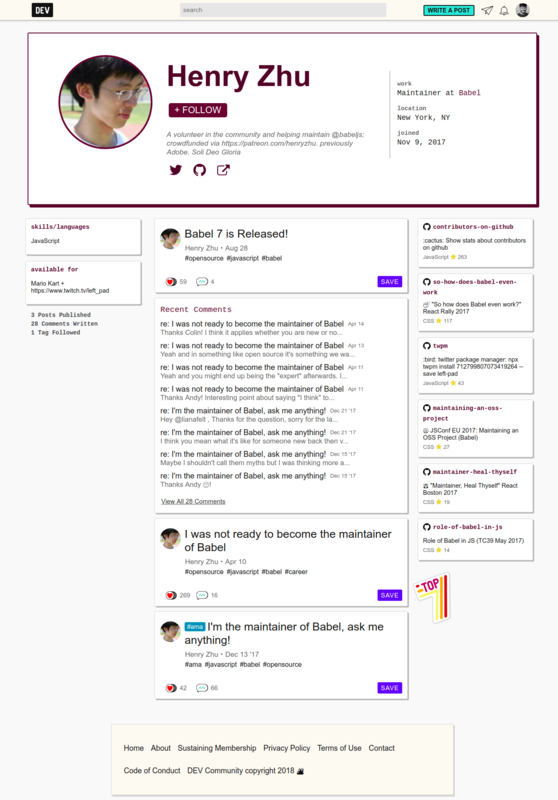 Once you reload the page, all the irrelevant posts to his/her profile are gone. This behaviour is hard to reproduce. As soon as the page opens, click on the profile icon. Scroll the profile page. You are most likely to reproduce this behaviour. User’s profile should contain his/her posts. Upon signup, I received 15 “confirm email address” emails. I should only have received one email. Basically, the short link redirects to regular HTTP, and that isn’t allowed with open. This is not a critical issue that affects many people since I don’t imagine Giphy embeds are used all that much. Also, only the articles that do have Giphy embeds are affected; the RssReader will still attempt to pull in the rest of the articles. Leaving a colon in description text of the front matter does not have proper error handling. Clicking “Preview” or “Save” will cause the page to 500 instead of having a proper error message. 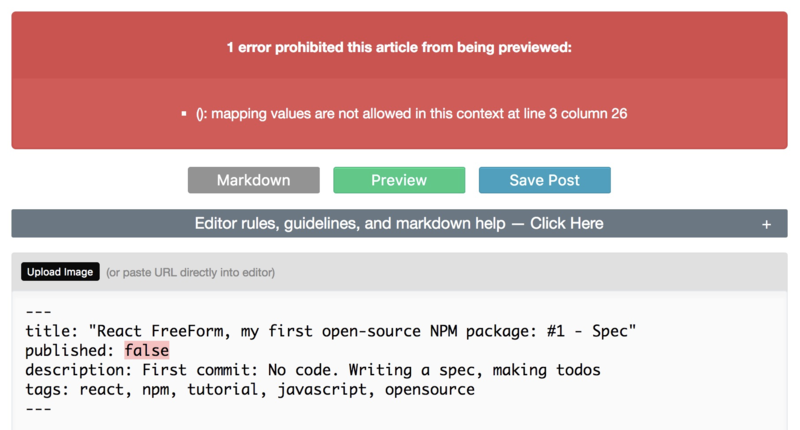 We give a proper error message and not have the page hit a 500 error. Thanks @nestedsoftware for reporting this! 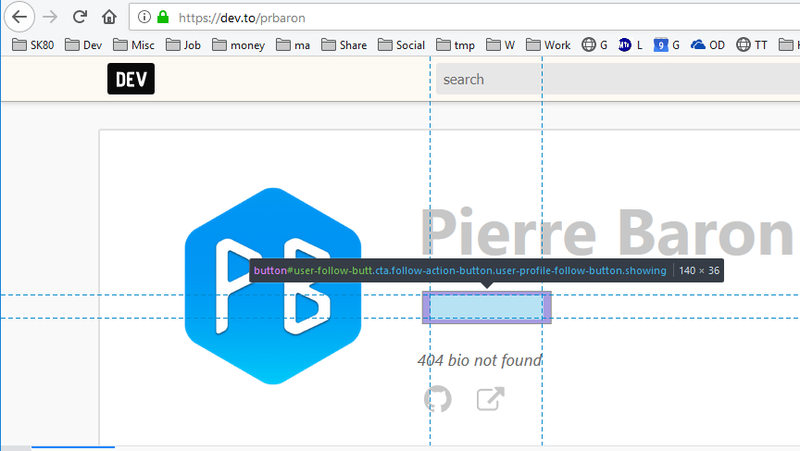 Would you check when the follow button is the same color as background thus hiding the button? 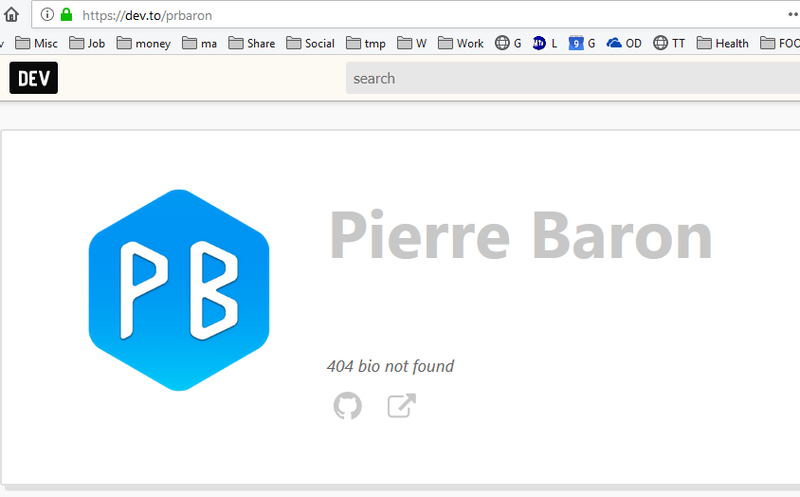 As an example, Pierre Baron on https://dev.to/prbaron has following profile page, making it hard to follow. And the button is actually there.